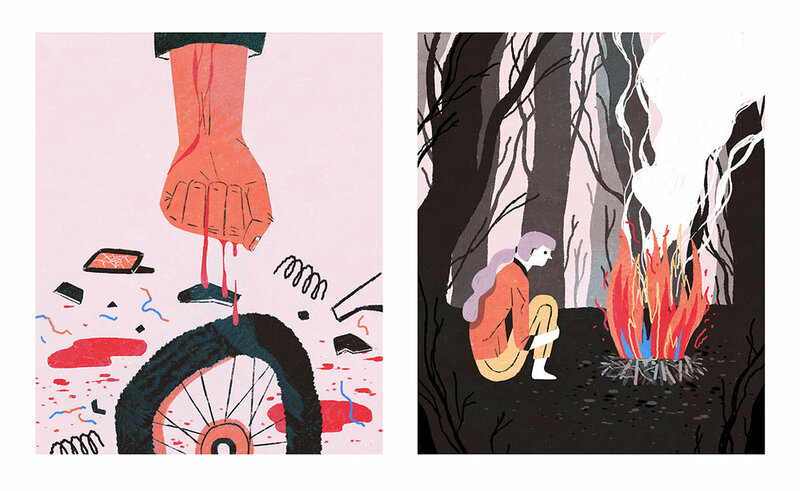 Header and spot illustrations for Narratively about a woman who had PTSD after her brother's death and lost her ability to make logical decisions, after several arrests, she eventually found a therapy to help her recover. AD Vinnie Neuberg. Header illustration for Narratively. The article introduces a support group called “Sad Girls Club,” which helps young women of colors with mental illness. Thanks AD Vinnie Neuberg.